When data cannot be accessed, a company stands to lose much more than just files and folders. Countless hours of hard work may be erased and thousands of dollars lost if you do not have a backup of your data. Organizations of all sizes should recognize how critical data backups are for daily operations, protecting sensitive information, and growing your pipeline. You might want to consider these four backup methods that have become popular business solutions. Storage hardware comes in many different capacities, speeds, and levels of portability. Ideally, you’ll want an external hard drive with slightly more room than your computer’s capacity. This will allow you to store a complete backup of your computer’s data with a little extra wiggle room. If you’re working with extremely large media files, you may wish to use external backups that have Thunderbolt, eSATA, or FireWire connections, since USB can be painfully slow for backing up large files. Some companies use business-grade cloud backups to store databases, files, and other important information. Some cloud systems will back up your data for you automatically; others require manual user input. The plus side to cloud storage is that you don’t have to worry about floods, accidents, or other office disasters ruining external storage hardware. The downside to a cloud backup system is that a third party is responsible for your data. If their servers go down, then you may have no way of getting access to your backup data for a period of time. 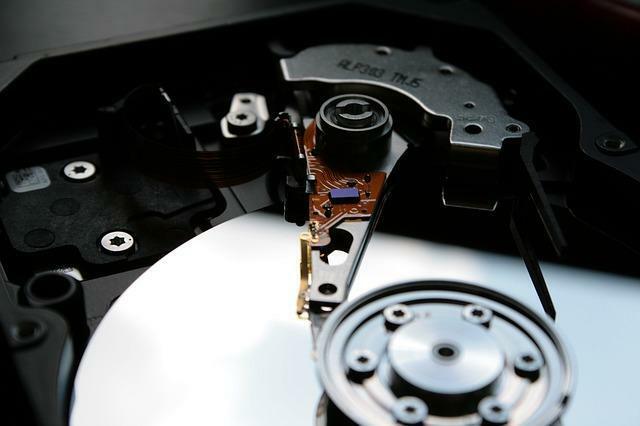 While cloud storage and external hard drives provide backups for single computers, it can be a major pain to back up an entire office one computer at a time. This is where NAS comes in. The NAS hardware can contain anywhere from one to multiple hard drives. They are accessible by a network of computers, making it easy for you to back up groups of computers at a time. You can also set up a NAS system with FTP, so that users can access files online. NAS tends to cost considerably more than a regular external hard drive, but provides your IT team with greater control. Not all your computers will be in-house. Companies that run VPS machines also need to worry about creating backups. There are numerous Linux and Windows-based backup software solutions on the market, which can help you create a VPS backup. They generally come at free or affordable price points, which can help companies reduce their IT and computing costs.